Welcome to my website and thank you for your interest in my multi-cell horns, carefully handcrafted on historical principles to suit each customer’s requirements. That may sound like no more a good slogan, but it’s true: after all, Tarzan formed a horn in front of his mouth with his hands, to push his blood-shattering cry into the jungle. And the first ‘sound machines’ were phonographs and gramophones, boosting the vibrations of a stylus in the groove of a cylinder or shellac records through horn, creating a respectable sound pressure without any electrical amplification. Even when the electrical age arrived, horns were needed: in the early days of talking movies low-powered tube amplifiers – with no more than a handful of Watts – had to fill movie theaters seating up to 400 people, meaning high efficiency loudspeakers were required. Horns did the hob, as can still be experienced today in demonstrations of historic Altec Lansing, Western Electric, Vitavox, Phillips or similar horns used in cinema systems. Multi-cell horn technology was used to distribute the sound as broadly and evenly as possible with consistent volume – and even when ample transistor amplification became available, Jimi Hendrix’s guitar riffs were conveyed by horns to every corner of the Woodstock open-air area. 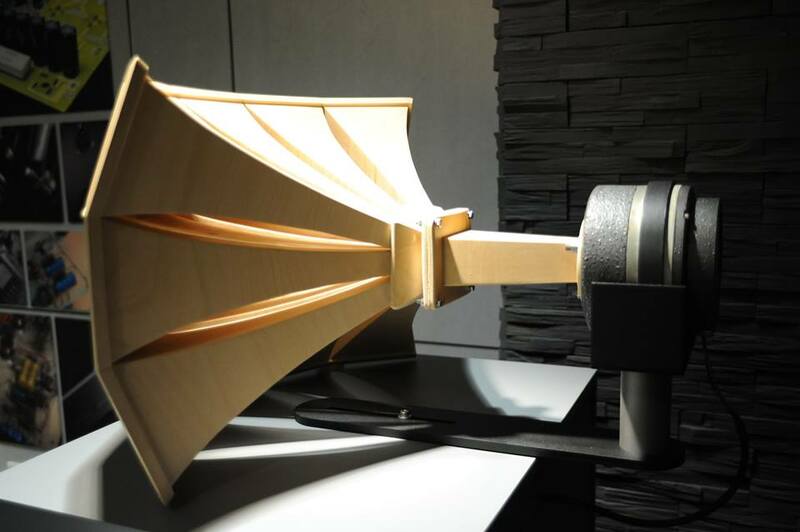 Why is there still a strong – and growing – interest in horns, when these days we can feed digital amplifiers, packing 2 x 1000 watts into the size of a pack of cigarettes, into power-hungry loudspeakers without any problems? Well, the point is that some analog music lovers remain in love with high-quality tube amplifiers delivering only single-digit wattages, yet with a sound as far away from that of a digital dwarf as a Stradivarius is from a synthesizer that thinks it’s a violin. 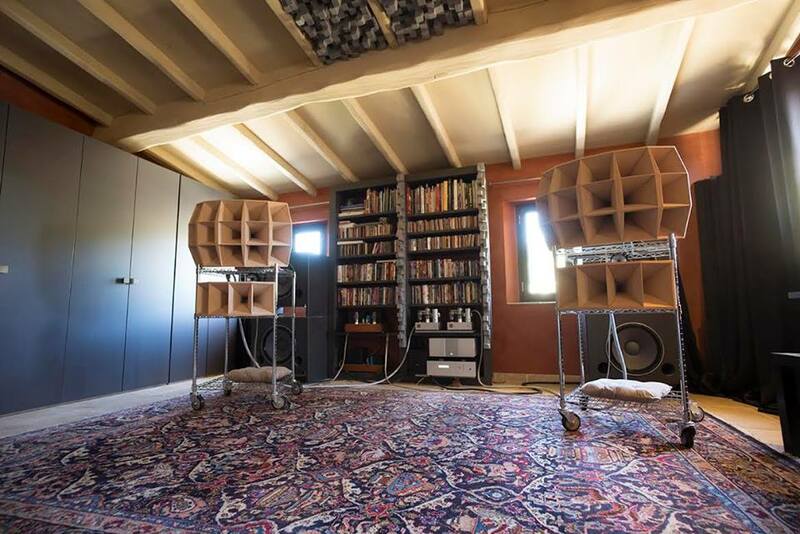 Horn loudspeakers have a perfect symbiosis with these tube amplifiers: with only a few watts of power they can fill a room with realistic live levels, reproducing voices and instruments with a speed and credibility beyond other loudspeakers. 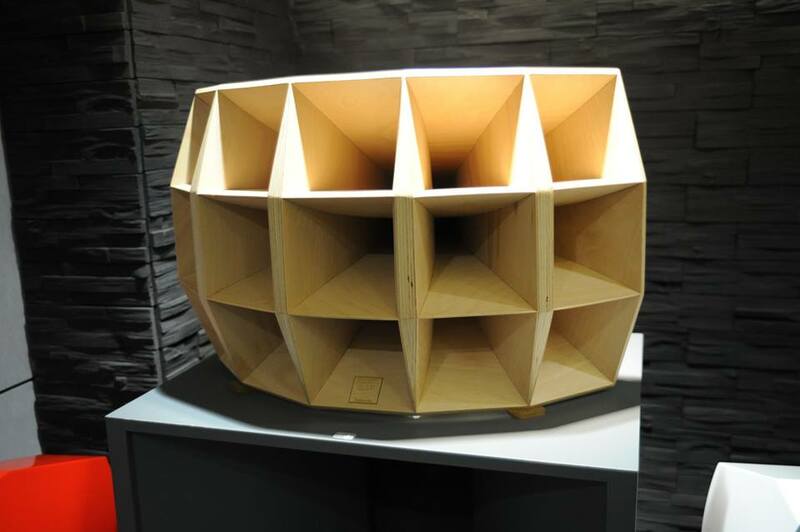 Drivers for these horn loudspeakers can be found on the usual internet platforms, with some original Altec or Western Electric units still available in very good original condition but, in addition to these sometimes sinfully expensive survivors, various suppliers are also producing new drive-units for horn speakers. What’s been missing until now are newly-manufactured multi-cell horn structures made from wood, which gives horns their silky sound.